CAPE CORAL, FLa. — Can you walk a million miles? That's the goal the organization "Healthy Lee" has set for the county. Today, was the official kick off for "the million-mile movement" but it actually started on Tuesday. The challenge is meant to get you to walk a million miles in three months. All you have to do is sign up, join a team and start walking! And today, business and community leaders announced creative ways to get people moving. 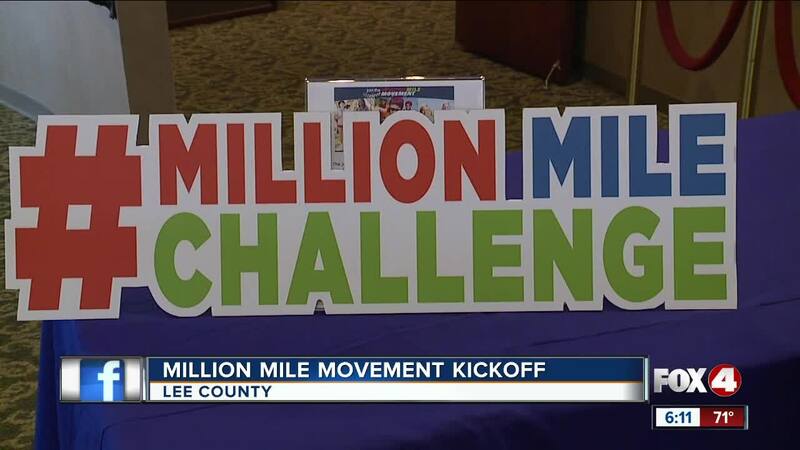 For more information on how you can join the million-mile movement go to www.HealthyLee.com.